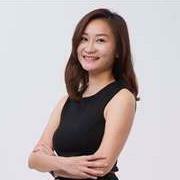 Malaysia Real Estate Agent / Property Negotiator Claudia Gan's Property Listings | Metro City Realtors Sdn. Bhd. Welcome to my property and real estate website! My name is Claudia Gan and I shall be your guide to assist you to hunt for your dream property. With 10 years of real estate experience, I'm dedicated to provide you my best service and information to assist you in buying and selling properties as fast as possible. My farming areas are KL City,Mont Kiara,Sri Petaling,PJ,Damansara and Bangsar area. Owners are welcome to list. Please dont hesitate to call me @  60123200773 or drop me an email : claudia_ganhh2@yahoo.com for any enquiries.